Season 3 of NBC World of Dance aired last night with the Upper Division and Junior Team Division rounds of The Cut. The top 6 acts in each division remained, and only 3 acts in each division moved forward in the competition. Celebrity judges Jennifer Lopez, Derek Hough, and Ne-Yo had the task of scoring each team, deciding who made it forward to The Divisional Finals. The performers were given the opportunity to be mentored by dance experts. This week, Derek Hough mentored the Upper Division, while former host and mentor Jenna Dewan returned to World of Dance to mentor the Junior Team divisions. Watch the full episode now, and check out our recap below to see who made it through The Divisional Finals, and who was eliminated. Jonathan and Jorge were the first act of the night, beginning their routine with a large, exciting lift. Derek Hough complimented them on their lifts, and Jennifer Lopez commended them for adding difficulty. The two judges disagreed on how refined their performance was, Jennifer Lopez was wishing for more refinement and Derek Hough thinking their performance was good on its own. Unable to score in the top 3, Jonathan Y Jorge will not be moving forward to The Divisional Final. Derion and Madison’s performance earned them a standing ovation from all three judges. 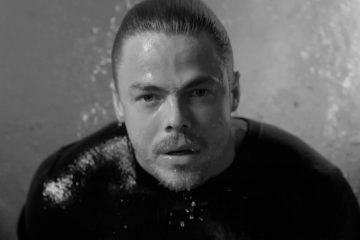 Derek Hough described their choreography as “sensational,” and Ne-Yo asked everyone to appreciate their difficult choreography, especially done at a slow tempo. Scoring in the top 3, Derion and Madison will be moving forward to The Divisional Final. The ladies of All Ready took the stage with an explosive performance in The Cut. Ne-Yo loved their energy, but wanted more attack on their movements. He thought it wasn’t their best performance, but Jennifer Lopez disagreed and said it was a great routine. Derek Hough said they’re great performers because they’re innovative and creative, but felt the music was bigger than their dancing. Unable to score in the top 3, All Ready will not be moving forward to The Divisional Final. Ne-Yo called Briar the total package, and Jennifer Lopez said she just might be what they’re looking for. Briar was brought to tears by Jennifer Lopez’s compliments, and she said when Briar was dancing, her eye contact made it seem like she was staring into her soul. Scoring at the top of the ranks, Briar Nolet will be moving forward in the competition to The Divisional Final. Unable to score in the top 3, The D’Angelo Brothers will not be moving forward to The Divisional Final. Poppin John earned a standing ovation from all three judges, and Poppin John was brought to tears after his performance. The judges praised him for vulnerability, authenticity, and bringing emotion into a style that’s not normally known for such. Making it into the top 3, Poppin John will be moving forward to the Divisional Final. Vpeepz were the first to perform from the Junior Team division, and their performance brought tears to their eyes, and all three judges to their feet. Jennifer Lopez told them to cry, smile, scream, and do whatever they want to celebrate their good performance. Ne-Yo commented that the choreography didn’t require a flip or a trick to be great, and Derek Hough said they nailed it. They scored high, earning a 100 from Ne-Yo. Scoring in the top 3, VPeepz will be moving forward to The Divisional Final. Ne-Yo and Jennifer Lopez agreed that their routine lacked synchronization, but Jennifer Lopez also included that they killed the performance. Unable to score in the top 3, Elektro Crew will not be moving forward to The Divisional Final. Jennifer Lopez thought there was a disconnect between the choreography and the dancers, and Ne-Yo felt he was missing something. Unable to score in the top 3, JDC will not be moving forward to The Divisional Final. Earning a standing ovation from Jennifer Lopez. Derek Hough appreciated the musicality and choreography, but wanted more from their transitions. Jennifer Lopez agreed, and said to think of themselves as a dance company rather than a dance team, allowing them to do anything they want to performance-wise. Scoring in the top 3, The Crazy 8’s will be moving forward to The Divisional Final. Going in knowing they were a lower scoring group so far in this competition, Get Down District wasn’t able to pull a high enough score to move forward in the competition. Unable to score in the top 3, Get Down District will not be moving forward to The Divisional Final. Ne-Yo thanked the Dance Town Divas for incorporating new styles into their choreography. Jennifer Lopez said it was their best routine so far, and Derek Hough agreed. Ne-Yo described their performance as something people would pay money to go see. Scoring in the top 3, Dance Town Divas will be moving forward to The Divisional Final. 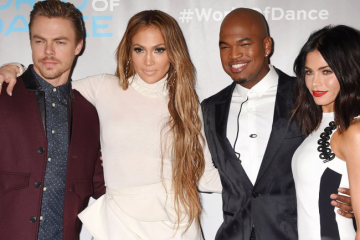 The next episode of NBC World of Dance airs this Sunday! Watch as the best dancers in the world compete for a $1 million prize. Don’t miss exclusive interviews, performances, and more from the definitive source for all things World of Dance. Stephanie Simons is a dance team coach with a passion for art, music, and learning.